Are you still wondering how to keep yourself cool in this summer heat? Then you definitely need an ice cube maker. Before this device came into existence people were enjoying cold drinks and ice cubes only indoors. Now, many manufacturers and refrigeration companies have come up owing to the high demand of these Ice maker machines. 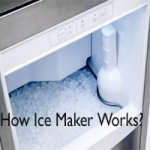 Ice Maker is a device that is used to make ice artificially. It is a stand-alone device and is used in homes and industries. Generally, there are different types of ice cubes but the common shape of ice cubes are the cube-shaped. 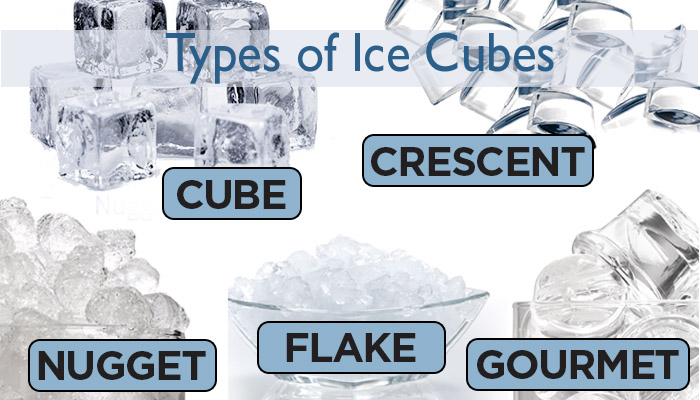 Ice Cube shapes are of six different types. They are Cube, Half-cube, Nugget, Crescent, Flake ice, and Gourment. Each ice cube shapes has its own features and uses. Let’s see the description regarding these types of ice cubes below. Nugget ice cubes: These are also known as ‘Sonic Ice’. It is famous for its soft and chewy texture. It has the ability to retain the flavor of any beverage it is mixed with. Also, it is ideal for carbonated beverages and blended cocktails. Flakers: It is similar to the ice found in snow cones. Flake ice is used for the preservation of seafood and other perishable items. It is also useful in food transportation and healthcare applications. Full cubes: These are nothing but those ice cubes that melt with the beverages and cool them quickly. They are useful for bulk cooling and bagging applications. It is perfect for any occasion and most popular in the restaurant, bars, and stores. Half ice cube: It is half the size of the full cube. It dispenses very easily due to its size and used in self-serving dispensing machines. Crescent Ice: It is shaped like a half moon and moves freely in any liquid without getting packed together. Its unique shape allows liquid to move freely over it more easily thereby reducing wastage. Gourmet ice: This is high quality and crystal clear ice which is odorless and contains pure water. It is also known as clear ice cubes. This type of ice cube adds an elegant touch to beverages and is ideal for bars, upscale restaurants and banquet service. It is made by boiling tap water twice or with water that has been purified through reverse osmosis or distillation. Moreover, it does not have any dissolved gases. Some popular Ice Makers used for making different types of ice cubes are mentioned below. Not only the types of ice cubes provided beside the ice makers but also they give other ice cube types. Commercial ice cube makers are best suited for soft drinks, mixed drinks, bagged ice and ice for dispensing. There are different types of ice cube makers available in the market today. Some of the popular ones are Carysil, Bluestar and Voltas. Carysil ice machines boast of high hygiene levels, easy to use and maintain. It has a superfast operation and makes ice within six minutes. Also, it is compact in design and produces very low noise. It has an inbuilt display, a high storage capacity of 1.1 kg and power consumption of 130 watts. It can produce different types of ice cubes. Bluestar is another famous brand of ice maker in India. It is ergonomically designed and produces different ice cubes shapes under any conditions. It is highly sophisticated and has water content system control for ice and water ratio. Bluestar ice maker machines come in two formats. One is, gourmet or clear ice cubes machine and other is Flaker ice cube machines. They are ideal for pharmaceutical industry and chemical products. These are highly efficient machines that have low running costs. Their rated capacity at an air temperature is 21 degree Celsius and water temperature of 15 degree Celsius. Carysil has been voted as the best ice maker 2019 in India due to its low cost and durability. It is highly efficient and produces different types of ice at a very fast pace. 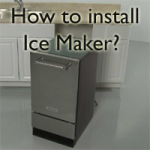 Also, To know more updates or latest info, keep visiting our Ice Maker Reviews portal regularly.